Spirit Airlines, hmmmm what can I say about this new airline? Let me break it down to different parts. 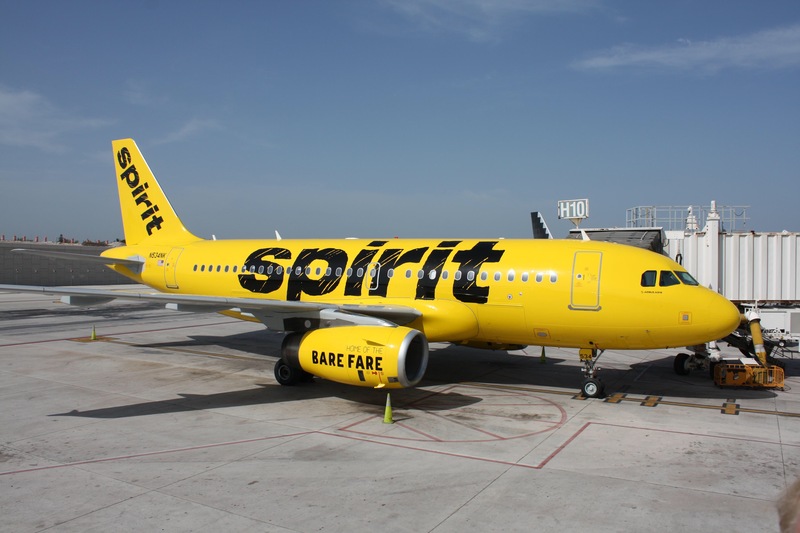 Since our reviews are mostly in layman’s term, let me share with you what I think flying with Spirit airlines is and is it worth flying with them again. Let us start with booking a flight. I found this flight from cheapOair and they have a very good sale on tickets. Their base fare is very reasonable, but be careful, because they can nickle dime you with the extras. Like the seat assignments, it costs $7-$12 to get the best seats you want. Check luggage is quite expensive they can charge you around $60 a bag. So when shopping for plane tickets make sure you are aware or you know about the extras, because that is where they are going to get you. The airplane is too small, there is not enough leg room. The seat do not recline and the only thing that move is the armrest, the tray in front (which is by the way too close and I can’t even put my chromebook on it ) and of course… yes you are right! The seat belt. I do not remember them giving us snacks on the first and second plane,,, hmmmm nope! They did not feed us. There is refreshments on the plane, but it is NOT FREE, you have to purchase the snacks and refreshments. And you know how much those snacks and drinks cost when you are in an airplane right? Mouth zip! The flight attendant’s uniform is kind of funny to me. They look like janitor’s uniform, they lost the glamorous outfits most flight attendants wear and what makes them appealing to lots of people who wants to become a flight attendant. The colors black and yellow are actually a nice combination but the cuts are just cringey! One thing Spirit airline is good at is scheduling, on time arrivals, they have ample time for boarding. They keep you updated with flight status and changes. The flight is quite eventful, because the plane was really shaky, probably because of the turbulence, it was rainy and cloudy, so I got a little bit scared. Ok as for the question is it worth flying Spirit Airlines? Answer: If you are on a budget and you fly light then it is worth it, but if you are bringing big check in luggage, then just go to another airlines who is a bit expensive yet check in luggage are free and they will feed you even with small snacks.